Back in high school, I didn’t always make the best decisions. One night when I was fifteen, I told my parents I was sleeping over at a friend’s house. Really, we were meeting other friends at some shady underground bar. It was fun at first, but as the night wore on and people got more and more drunk, I began to feel uneasy. Fights were breaking out, bottles were being thrown, things were dangerously out of hand and the police were rumored to be on the way. The bar—congested with so much cigarette smoke you could hardly breathe or see straight—was filled well over capacity by this point. I eventually got out of there and somehow found the courage to call my dad. It was 2 in the morning; needless to say he probably wasn’t pleased. In the ensuing hour, I waited in the dark, thinking about how much he was going to yell at me—and with good reason. But when my dad arrived, he said nothing and instead just gave me a hug and took me home. The hug taught me more of a lesson than yelling ever could. Making Father’s Day breakfast is the least I can do in return for his patience all those years ago with my crazy teenaged self. Although neither of us is on a gluten-free diet, I made gluten free waffles this year just to change things up. No one says you have to be gluten-free to enjoy gluten-free foods every now and then, and I’ve been having fun experimenting with different flours lately. 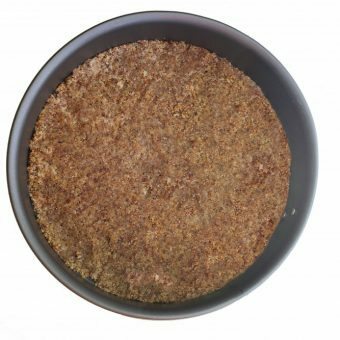 Buckwheat flour, sorghum flour, brown rice flour, arrowroot… each brings a unique taste and texture to the table. If you do like using different flours in recipes, you’ll be happy to know my future recipes will be featuring them much more often. However if you don’t want to buy fancy flours or change the way you bake, rest assured I’ll still post “regular flour” options for the recipes. 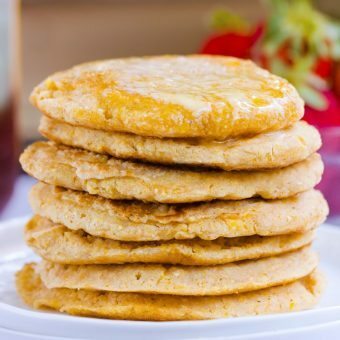 For example, if you don’t want to use the non-traditional flours called for in this particular gluten free waffles recipe, you can make my other Healthy Waffles Recipe without any obscure ingredients. 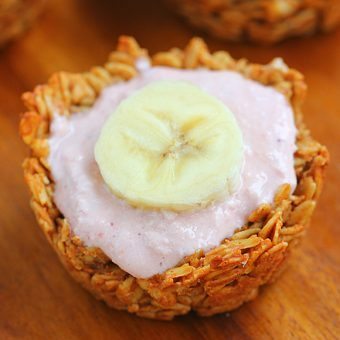 Gluten Free Waffles Recipe: Combine all dry ingredients in a mixing bowl. Stir well. In a separate bowl, stir together all liquid ingredients. 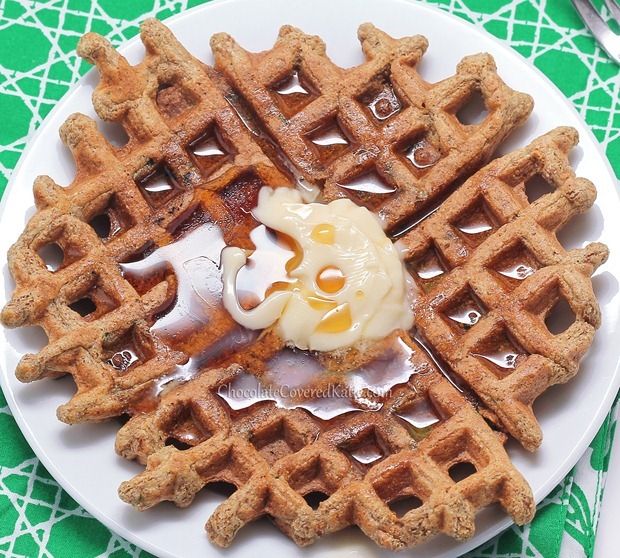 Grease a waffle iron with oil or oil spray: be sure to grease it very well if using all applesauce in the recipe. Preheat the iron according to manufacturer’s instructions. Pour wet into dry, and stir until evenly combined. 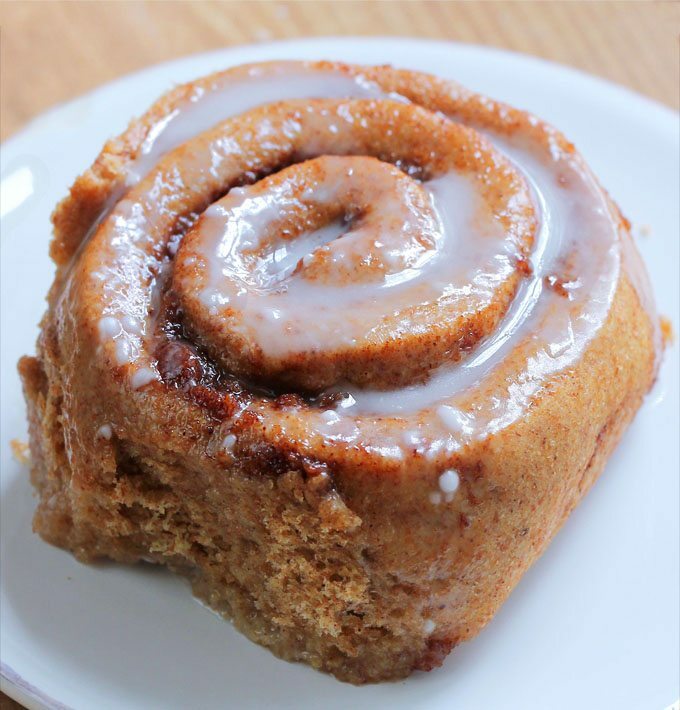 When the iron is hot, pour half the batter into the center, and close the lid. (My waffle machine has a light that goes out when the waffle is cooked. Don’t lift the lid before the waffle is done.) 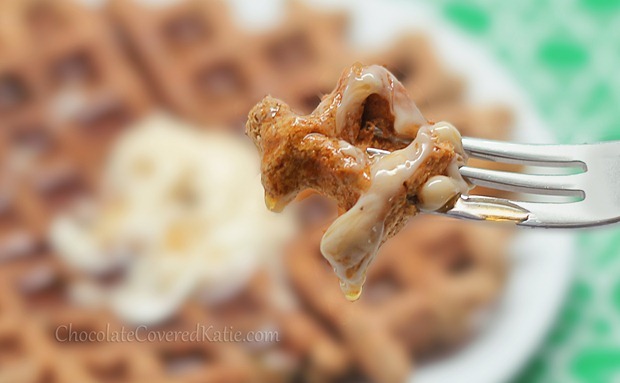 Serve with pancake syrup, pure maple syrup, or your favorite waffle toppings. Makes 2 waffles. How did your parents discipline you when you were growing up? When I was really little I’d be sent to my room or put in time out, but I don’t remember ever being grounded as a teenager. By that time, my parents probably had it pretty easy in terms of punishment options: just knowing I’d disappointed them or not met expectations was usually enough to make me regret a bad decision. Oh yum! Keep the waffle recipes coming 🙂 I love eating them for breakfast dinners! 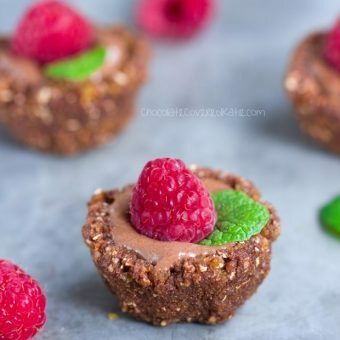 thanks for posting this absolutely delicious looking recipe 🙂 I do follow a gluten free diet so it’s nice to see recipes like this more and more! That is so cool what your Dad did! My mom was great on figuring out what discipline I needed. Most of the time it was just an explanation to help me realize my impact on others, and I would never do it again! I was a pretty boring kid that read a lot, and didn’t get into trouble really until I was a little older. I never was grounded, same thing for me with the disappointment being enough. But there was one hilarious time I was like 16 and was put in the corner as a punishment 🙂 Sometimes my mom still thought of me as a little kid. You’ve done it again Katie! These look delicious! Oh, these look delicious! I think I’m craving waffles. Katie, tell your dad he’s awesome. What an amazing thing he did. Being the oldest child, my parents hadn’t quite gathered parenthood yet, so I was yelled at a bit, and spanked as a little girl. As I grew to my school years, I was sent to my room, given time outs, would have toys or treats taken away, or, if all else failed, spanked again. Now, as a teenager, I’m only scolded or lectured, and nothing works better on me than just having a calm and serious talking to with my mother. I’d say my parents did a very good job with discipline. I’ve never been grounded, though. I rarely lied or disobeyed as I grew older, (and I had no friends to get in trouble with) and if I did, my conscience made me admit it right away. I could rarely misbehave without apologizing or telling the truth, which I think got me out of a lot of punishments. So I went to your website looking to make one of your pancake recipes, but it’s like you read my mind! These were great! And my family ate buckwheat (which they always claim to hate) without even realizing it! Thank you! No offense, but how the heck did you get into a bar at age 15? You look so young now I can imagine you would be carded to get into a club. And what kind of bar was this that all that went on? Road House? I went to school overseas. It really surprised me, too! I went to two different high schools (one in China, the other in Texas), and the experiences were night-and-day opposite. Did you go to Brent? I think one of the hardest parts about being a TCK (which you are, too – a “third culture kid”) is going “home” and the accompanying culture shock! Oh it must be really awesome, then. I can’t imagine a campus being more awesome than Brent! We went for a soccer tournament many years ago, and I remember everyone at the tournament was jealous of the campus with its beautiful scenery, outdoor walkways, and (most importantly) the indoor pool. Then again, I hear SAS (the Shanghai high school) now has a pool and even a Starbucks on campus. Yeah, the culture shock is really hard… I definitely had a difficult time adjusting when I got back to the US, especially at school. Even still, I wouldn’t trade the experience for the world. I lived overseas the majority of my childhood (first time I ever moved was when I was 2 weeks old) and the surroundings are so much different. And you really are changed once you have lived in a different country. But now that I am currently living in the U.S, I miss being overseas! And it is odd going back to the U.S because you have all those experience, that I too am so glad to have! 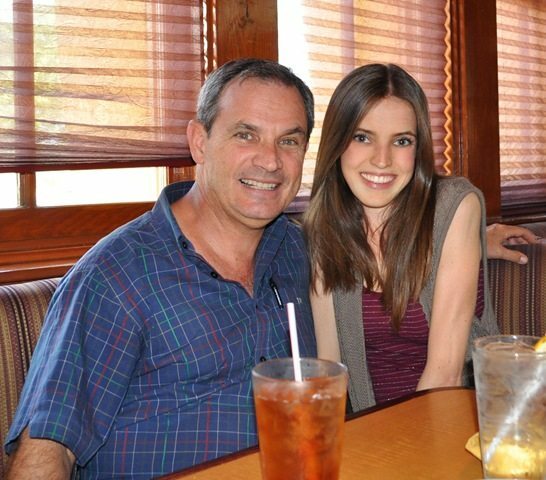 That is such a great photo with your dad. I love your long hair Katie! Can you do an updated post on what you do for hair care? I actually still use Desert Essence coconut shampoo. I know they say you’re supposed to change every six months, but I’m a creature of habit, I guess. Oh gosh those waffles look so good; I had so horrible punishments as a child I guess I was always up to no good. I look back at in and I guess my punishments were not that bad. I have read too many books and seen too many movies to be dreaming of going to any place where young people are getting drunk and doing drugs and partying all crazy. I couldn’t imagine going somewhere where I couldn’t be sure that I wasn’t inhaling any drugs. I may be a teenager, but I’m boring and that’s the way I like it! I think that hanging out on the computer is much more fun than filling my body up with obscure chemicals that supposedly make me feel high would ever be. I enjoy making waffles, light, fluffy, traps to hold the syrup/whatever else. Oh goodness, these look awesome! And I love that they’re gluten free since I have to be careful with my gluten intake. 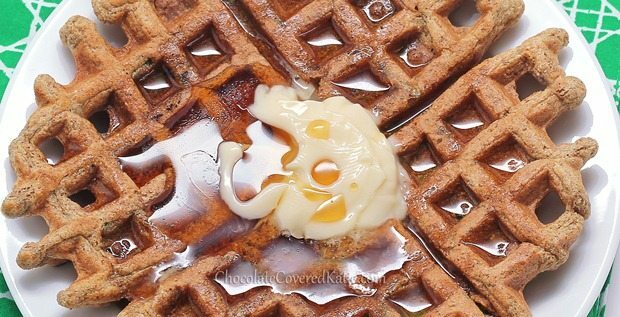 I’m really curious … what is the topping on the waffle in the photo? It honestly looks like an over-easy egg, but it can’t be, because you’re vegan — LOL. And … it can’t be butter, either. Sorry if you mentioned what it was and I missed it! And yes. The zucchini brownies are the most-recent one, but I’m sure more will come soon. These look so good!!! I haven’t had good luck experimenting with GF flours, so I always turn to people like you for delicious GF bread-y type things. Amazing! I can’t wait to try these – have to go and stock up on my obscure flours! I don’t have buckwheat or arrowroot in my collection yet. When I was 16 I totalled my parents car. I had only a couple of very minor injuries and the people who were in the other car that hit me were fine. I called my Mom who then in turn called my Dad who had to leave work to come and get me as he was in our other car. I was sure he’d be furious and I’d be banned from driving forever. He gave me a big hug and all he said was “tough night, eh”. He also made me get back in the car the very next day and drive again – he knew if I didn’t I’d probably be afraid to drive forevermore. Dads are pretty great people!! I think mine deserves some awesome waffles too! I was never grounded as a kid either. My parents rewarded us for doing chores, finishing our homework, and other good behavior. Seeing their disappointment when we did something bad was MUCH worse than them yelling or grounding us! I really appreciated growing up in a household full of love and compassion, and it’s refreshing to hear that your family is like that too! Yum these look so pretty!